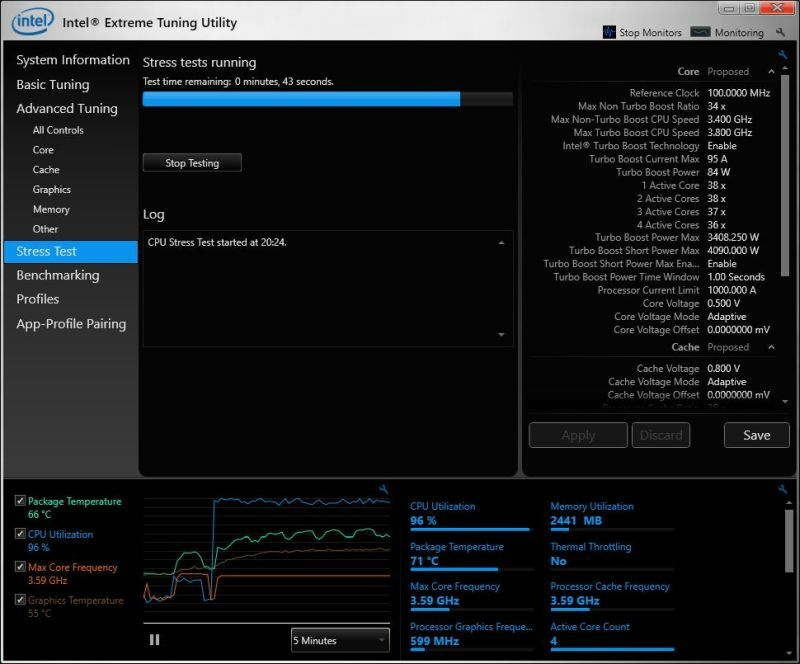 Intel eXtreme Tuning Utility or Intel XTU is a performance tuning tool to overclock, monitor, and stress a system based on Intel processors. 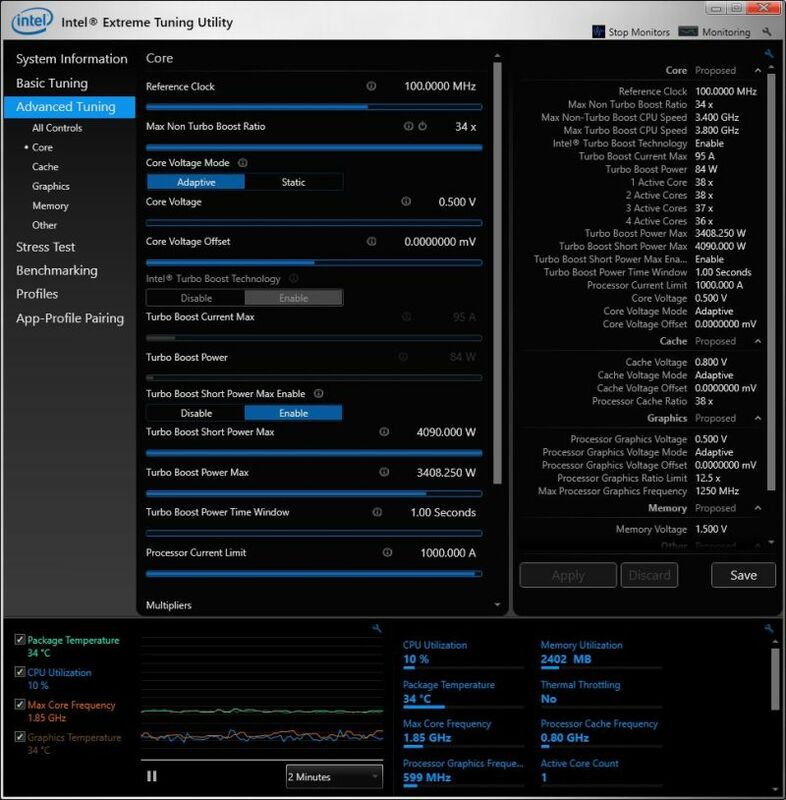 Intel XTU is available for Windows systems (Win7 /Win8 /Win10). 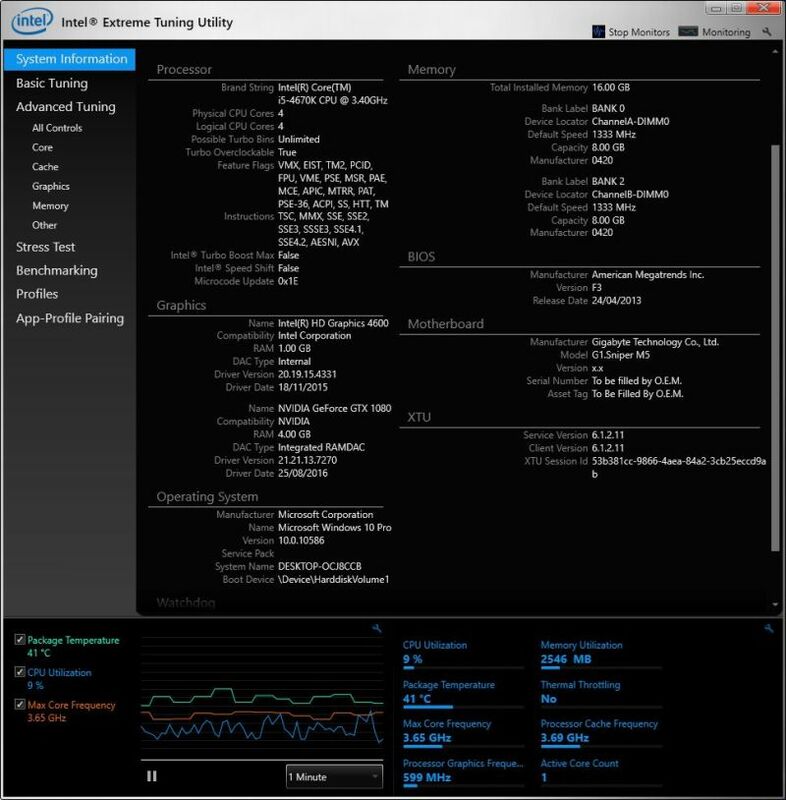 You can download Intel XTU v6.1.2.11 from this page or from Geeks3D download zone. 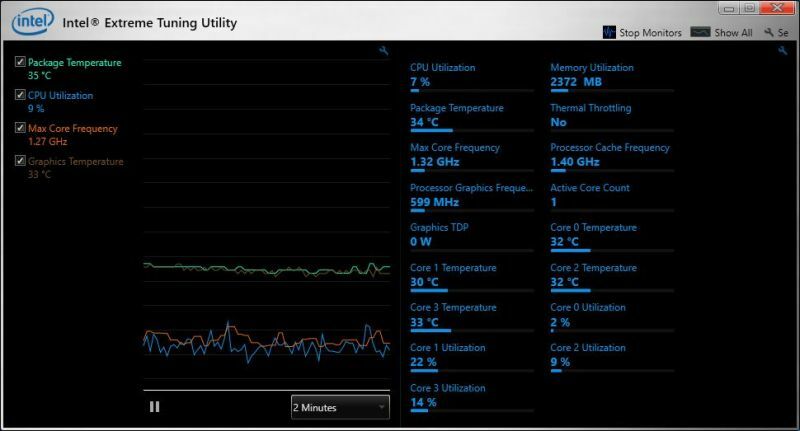 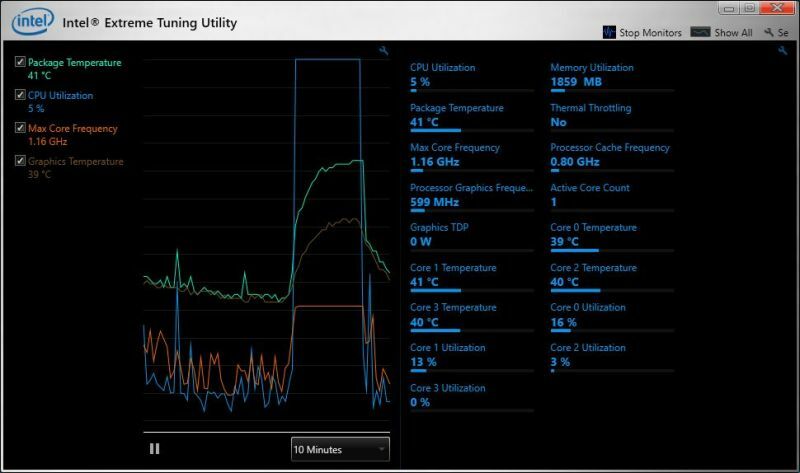 I tested Intel XTU on a Core i5 4670K (4-core) that includes a HD Graphics 4600 GPU.